For our Salt Water friends….. 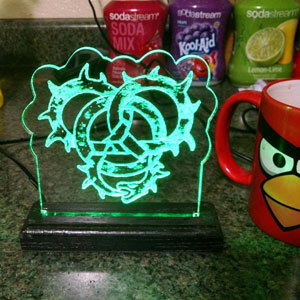 Edge Lit signs….What are they? 2 months ago by onemadfishsmallsign Killer! Custom snap Rack customer pics ...all shiny and new! Filler up! 4 weeks ago by onemadfishsmallsign Loving the glow this customer is! 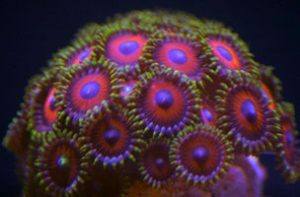 He had to send me this pic saying how nice the glow is of our Mag 39 Snap Racks w/Frag loc. I couldn't agree more! 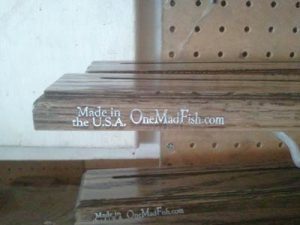 1 month ago by onemadfishsmallsign No joking around now! A big pile of Sure Grip 100 magnets are in for our Mag 39 Snap Rack w/Frag loc! 2 months ago by onemadfishsmallsign The Sure Grip 100! Trying to stock up...yeah...you all keep buying the magnetic Snap Rack w/Frag Loc :) What you get with this beast of a magnet is 2 magnet halfs and 4 power head brackets. We only use the 2 halfs to hold our Snap Rack to your tank glass. These will hold good up to 3/4" glass or acrylic! Andy Lefere on For our Salt Water friends…..